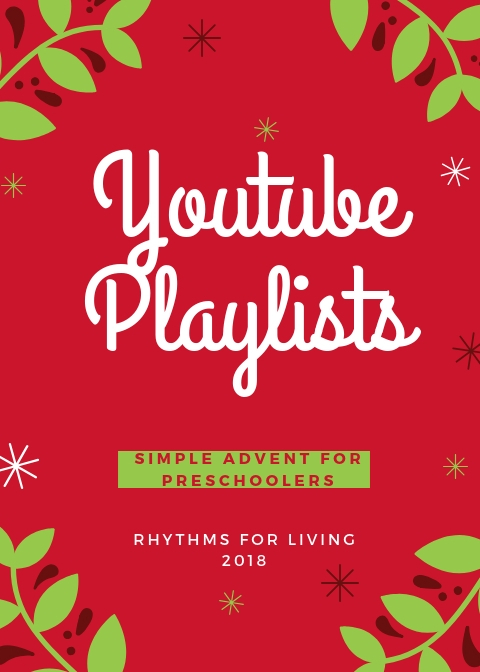 I have created five youtube playlists to accompany my Simple Advent for Preschoolers. If you haven’t grabbed your FREE DOWNLOAD read the original post here. In addition to the memory verses and the bible reading for each week of advent (including a fifth week to teach about Three Kings Day) I have included songs to sing or listen to. I have included a listening playlist here for each week. Some of the playlists also include a read-aloud book or cartoon that expands the story.